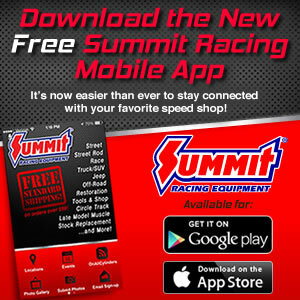 Attention, Top Class and Mod Class racers: If you're on the fence about competing in the Summit SuperSeries, see if this pushes you off the fence. The national champions in the Top and Mod classes have an opportunity to win a vacation to Aruba at the Summit World Finals in Memphis Tennessee, October 21-23. The champions will receive a weeklong vacation, courtesy of the Don Flip Racing Team. Seven nights and eight days at the Tropicana Aruba Resort and Casino (above). An eight-day car rental from More 4 Less Car rentals. Dinner for two at El Gaucho Restaurant, The Red Fish Restaurant, Driftwood Restaurant, plus dinner and a Managers Lunch Treat at the Double Down Sports Bar at the Casino. Lunch and a sightseeing trip at the Rum Reef Restaurant located at Baby Beach. A UTV island tour with Around Aruba Tours. A day pass for two for the amazing De Palm private island. Said Juan Werleman, representing the Around Aruba Tours: "We sincerely look forward to have more IHRA World Champions and sponsors of the International Hot Rod Association visit us here in Aruba. It's not only a great promotion for our sponsors, but it's the experience of sharing a unique vacation experience to the best of best in drag racing." For more information regarding Aruba, visit Aroundaruba.com. We'll have more on the prizes available at the World Finals in Memphis as the event draws closer.